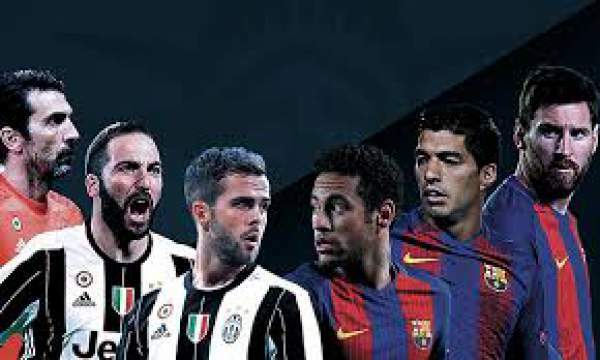 Barcelona vs Juventus Live Streaming Champions League Score JUV v FCB: It is the second leg of the UEFA Champions league and today we have Barca hosting Juventus at the Camp Nou for the game. Juventus comes into this tie with an advantage as they won the first leg by 3-0, but we all know that Barcelona is more than capable of overturning this lead as they have previously achieved this by winning against Paris Saint-Germain. Watch Online: Monaco vs Borussia Dortmund Live Stream. Barcelona plays in the Spanish Primera Division and currently holds the second spot on the table with 72 points from 32 games, three points below Real Madrid and seven points above Atletico Madrid. Lionel Messi have 11 goals in the Champions league and will be one of the most important players on the pitch for Barcelona as he always has been. They have already done this once before against Paris Saint-Germain, overturning a lead of 4-0 by winning 6-1. Barcelona lost to Juventus when they last visited Camp Nou by 2-1. They have scored at least three goals in seven of their last eight Champions league home games. They have also lost three of their six Champions league games. Barcelona have won four of their last five games in the league, losing one against Malaga by 2-0. Juventus have performed very well in the first leg as they gave no chance to the away team and got the lead of the three goals against a team like Barcelona. Beating Barcelona is not easy and they achieved it with ease. Now they need to defend this lead which is not going to be easy as Barcelona are very difficult to beat at home. Paulo Dybala has scored four goals in the knockout stages of the Champions league this season. Barca are unstoppable at home and a win for Juventus would be very difficult. Stay tuned to TheReporterTimes for Barcelona vs Juventus Live Streaming, commentary, highlights, news, and much more.